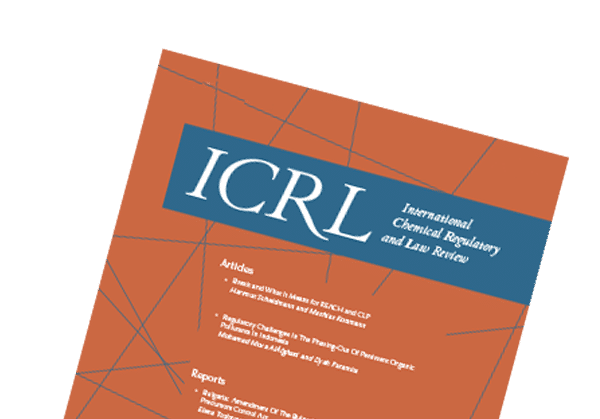 As always, the latest issue of ICRL features contributions from across the globe on the most pressing issues in the field of International Chemical Regulation. To mark his inclusion in the ICRL Team Dr. Choo Ta and his colleagues have contributed a fascinating article on the chemical classification and labelling system in Malaysia before and after the introduction of the Globally Harmonized System (GHS). In our second lead article, Hanna Skarpos highlights the importance of technical equivalence assessment for active substances in crop protection and biocidal products. While our two reports deal with developments in South Korea and with the regulation of biobased chemicals in the US. This issue’s Case Note deals with the recent Stichting Greenpeace Nederland and Pesticide Action Network Europe (PAN Europe) v Commission case. Although it has been 10 years since the ground breaking EU REACH regulation came into force and fundamentally changed the way chemical substances are regulated, evaluated and authorised, this dynamic and ever changing policy area merits continuous scrutiny and analysis. To provide a forum which will enable practitioners, regulators, policy makers and academics to discuss the most pressing issues in this field – in Europe and beyond – Lexxion has created the International Chemical Regulatory Law Review (ICRL). Chemical law experts will report on key regulatory and legislative developments, not just in regard to EU REACH but also across the globe, and will analyse important processes that shape the interpretation and application of chemical regulation. Those relating to the international progress of chemicals registration, authorisation and restriction and the improvement of human health and environmental protection will be receive particular attention. The quarterly journal addresses everyone who is concerned with EU REACH, chemical law and policy issues such as legal practitioners in national and international law firms offering their services to businesses in the EU and globally, government officials working in public administrations and other relevant policy-making and enforcement bodies, academics (in the field of law, biology, biochemists, chemists and pharmacists and other relevant research fields), legal experts and judges in domestic, European and international courts as well as consultancies and business professionals. All articles will be subject to double blind peer-review before acceptance for publication and are required to conform to the author guidelines available. The quarterly journal addresses everyone who is concerned with chemical law and policy issues. Academics in the field of chemical law, biologists, biochemists, chemists and pharmacists may be particularly interested, while Government officials, as well as regulatory experts, working in public administrations and other relevant policy-making and enforcement bodies, will also find ICRL to be highly relevant to their work. ICRL will comprise of on in-depth lead articles as well as more concise reports on recent regulatory and legislative developments in the field. Turkey Ahmet Ecmel Yorganci, General Manager, REACH Global Services S.A.
Turkey Dr. Yaprak Yüzak – Küçükvar, Director, REACH Global Services S.A.
Wrapping up the first year of ICRL, Issue 4/2018 features contributions from across the globe on the most pressing issues in the field of International Chemical Regulation. As the Brexit negotiations come to a close and the United Kingdom slides deeper into political turmoil, our lead Article explores the impact of Brexit on the regulation of biocides, both in the EU and in the UK. With a focus on the consequences of both a hard Brexit and a soft Brexit, Hannah Widemann, Eléonore Mullier and Darren Abrahams offer practical and sensible advice to any business working in this area. The final issue of the year also has a strong focus on regulatory developments in North America with reports on recent changes to the US TSCA, an overview of California’s Proposition 65 Law and an analysis of Canada’s regulation of cleaning products. The reports section is rounded off with a look at the regulation of chemicals in Taiwan. As was the case with the first two editions of the International Chemical Regulatory and Law Review, Issue 3/2018 again includes qualitatively high contributions from people working across the field of international chemical regulation. With a special focus on the European Chemicals Agency’s Board of Appeal, one of the most important bodies in the field of chemical regulation, this issue will be of value to practitioners, academics and regulators alike. Our esteemed Editorial Board member, and member of the ECHA Board of Appeal (BoA), Andrew Fasey reflects on both the challenges and rewards of holding such an important position and provides us with some fantastic insights into his 8 years on the ECHA Board of Appeal. To complement his contribution, our lead article by Eléonore Mullier and Ruxandra Cana outlines the difference between appealing a decision at the European Court of Justice and the ECHA BoA. The theme continues in our Reports section with a first-hand account of what it is like to make an appeal at the ECHA BoA. With additional country reports on the latest developments in China, Turkey and the USA, ICRL 3/2018 continues the global perspective that have characterised the first two issues. View all articles of ICRL 3/2018. In the early stages of ICRL’s inception, we spoke to a wide range of stakeholders in the field of international chemical regulation and asked them what they would like to see in a new journal. The answer we got was clear: it should be international in scope, in-depth, and ought include all relevant voices. A brief glance over the contents page of ICRL Issue 2/2018 will reveal that we have paid attention. Featuring contributions from regulators, practitioners and consultants, the current issue provides space for all major stakeholder groups to be heard. With articles on the EU – Swiss regulatory relationship and on biocidal product regulation, Issue 2 is also topically diverse. Reports on policy developments in South Korea and the United States add an international flavour. Finally, the issue concludes with an in-depth case note on the recent (PPG) and SNF SAS vs ECHA decision. View all articles of ICRL 2/2018. The new International Chemical Regulatory Law Review (ICRL) identifies and analyses important legal and regulatory developments on the national, EU and international level. Reflecting the international scope of the journal, the first issue includes articles on Brexit and what it means for REACH and on Regulatory Challenges In The Phasing-Out Of Persistent Organic Pollutants In Indonesia. In addition, you will find reports on developments in Bulgaria, China and South Korea. The issue also includes a detailed case note on the recent VECCO case and updates on pertinent legislative and policy developments. View all articles of ICRL 1/2018. All advertisement prices are valid from January 2019. Please provide the advert in a PDF/X-1a format +3 mm bleed (without crop marks). ** Insert size 200 x 270 mm or smaller, or already folded. I have read and agree to the Data Protection Policy . The publisher does not accept any liability for any unsolicited manuscripts, photos, programmes, data banks or devices. By consenting to the publication of his / her work, an author transfers the right to reproduce his / her work to the publisher, including in a digital format (including CD-Rom). The right of use also includes permission to store the work in a databank. Permission must be sought from the publisher before reproducing material that has previously been published. All contributions featured in this journal are protected by copyright. Please have a look at our Call for Papers for further information on submission deadlines. Spontaneous contributions are welcome! 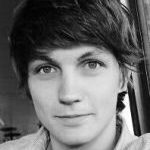 Spontaneous contributions are welcome and should be sent to Executive Editor Jakob McKernan at mckernan@lexxion.eu. Only submissions of excellent quality will be accepted in ICRL. Responsibility of the factual accuracy of a paper rests entirely with the author. All publications must clearly distinguish themselves from the status quo of discussions – in particular through sufficiently broad footnoting and referencing – and provide an added value to those discussions. Contributions should not have been published, nor be pending publication elsewhere. Whereas opinions and case notes may be more factual and focussed, articles must rely on pre-existing literature and jurisprudence, even if the positions expressed there are to be contradicted. Likewise, submissions relating to very recent developments require less footnoting and referencing than submissions relating to familiar topics. Publications not up to this quality standard will be rejected. After the manuscript is submitted, it will undergo a process of blind peer-review for accuracy, quality and relevance. Submission of a manuscript does not imply claim for publication. Optionally before submitting a manuscript, the editors may be contacted regarding the suitability of a given topic for ICRL. The manuscript must also be complete and final in terms of formulation and factual information so that no major corrections – only of type-setting errors or the like – will be necessary after type-setting, when an edited version will be returned to the author. Subsequent requests for corrections cannot be processed. All contributions must comply with the minimum formatting requirements laid out hereunder. Contributions not respecting these formatting requirements will be returned to the author. Articles should be between 4,000–8,000 words (including footnotes) in length (MS Word Format, in British English). All contributions use footnotes, but not a list of references. Longer articles are accepted on a case-by-case basis if more space is required by the topic. Each article is preceded by a short abstract (without heading) of five to six sentences. Country Reports should be between 2,000-3,500 words (including footnotes) in length. They highlight a topic of particular interest relating to legal developments in the EU Member States or third countries with a clear link to the European market. The reports provide readers with the facts, as well as some critical and personal comments. Case Notes should be between 2,000–3,000 words (including footnotes) in length. Their overall structure shall be divided in the Facts, the Judgment and the Comment. The case note shall be headed by a short headline in bold that summarises the main issue of the case and the reference of the case in Italics, including its publication in the official journal of the respective Court. In cases where the judgment is not (yet) final, this fact shall be indicated. Every word in the title should be capitalised except for conjunctions (Headline Capitalisation). The title’s length should not exceed three lines after typeset (max. 150 characters including spaces). Subtitles are allowed and should also not exceed the 3 lines rule (max. 200 characters including spaces). Author(s) details should be included in a first asterisk footnote (*) inserted after the author’s/authors name(s). * Prof. Christopher Bovis, H.K. Bevan Chair in Law, Law School, University of Hull; Managing Editor of the European Procurement and Public Private Partnership Law Review (EPPPL). For correspondence: <bovis@xyz.com>. To do so: In the References ribbon tab, click the Footnotes launcher (lower right corner in the Footnotes section). There, place an asterisk into the Custom mark: box, then click Insert, and type your footnote text. All further footnotes should be numbered sequentially in superscript in the text outside punctuation marks. Tables and figures should be submitted on extra pages. Every table should have a title. The relevant sources of the data presented or of the tables or figures themselves should be indicated. Within the text, the position at which a table is to be included should be marked by ‘[TABLE …]’, the tables and figures being clearly numbered. Every table should be referred to. To ease the typesetting process, please keep formatting within tables to a minimum (eg avoid merged cells or the use of vertical text for headings). Each article is preceded by a short abstract (without heading) in italics of five to six sentences, without footnotes (approx. 200 words). All references should be included in the footnotes: no final bibliographies are allowed. The reference style is OSCOLA. All contributions should be submitted in British English. Submission – All pieces should be submitted in our house style in accordance with the Author Guidelines of the specific journal, available on their respective websites. Authors guarantee that they have not submitted the (same or similar) manuscript elsewhere (including other publishing houses, online platforms etc) simultaneously, while waiting for the outcome of the review process. Authors who have submitted their manuscript for consideration to a Lexxion journal may publish a pre-peer review version of their work on the Social Science Research Network (SSRN). However, once the manuscript has been published in the journal, the authors have responsibility to remove the draft version from SSRN. Disclaimer – Under no circumstances Lexxion Publisher can be held liable in respect of any material submitted and published, and cannot be held responsible for its content and accuracy by the contributing author. Nonetheless, we will, if notified and having satisfied ourselves of the bona fides of the notification, remove any content that might constitute a legal violation, such as material submitted in potential breach of copyright. Copyright and Plagiarism – By submitting material for publication, the author guarantees that he or she is the original copyright holder of the work in question owning the legal rights to use the information. As such, Lexxion Publisher has no legal liability regarding any copyright claims, but will simply remove offending articles as/when we are advised of any breaches. Review – All articles are subject to peer review in accordance with the Author Guidelines of the respective journal. A submission will be considered for publication in the next two issues after acceptance. Longer processing may occur due to review processes or other factors determining the content of the issue such as the need to offer thematically balanced issues. The publication of any material submitted will be at the sole discretion of Lexxion Publisher. Reservation of Rights – We reserve the right to accept, reject or remove any material submitted for publication with no explanation. Offensive Content – Any material deemed defamatory, racist, or otherwise illegal or offending will in any case not be approved for publication. Exclusive License for Publication and Copyright Transfer (Standard Publication) – By submitting materials, the author transfers all Copyrights of the work to Lexxion Publisher and grants us an exclusive, perpetual, royalty-free, worldwide license to publish any material the author submits to us in any format, including without limitation print and electronic formats. In particular, the author agrees that we can make it fully or partially available in the journal it was submitted to as well as in any other publications and/or media or social media of Lexxion Publisher, provided that due credit is given to the author. Republication – Any form of republication by the author requires Lexxion Publisher’s prior approval. Nine months after the first publication, the author may discuss with the executive editor of the respective journal further publications of the published version of his or her contribution. If a contribution is republished, full reference should be made to its first appearance in the respective publication by Lexxion Publisher. If the digital version is republished, it must be guaranteed that the corresponding digital object index (DOI) is clearly stated. Republication as ‘self-archiving’ (such as in a personal or institutional website) are only allowed under the Open Access Publication policy described below. Acknowledgment – The author acknowledges that any breach of the abovementioned warranties may cause us damage or loss and the author agrees to indemnify us in full and permanently against any third party liabilities, claims, costs, loss or damage we incur as a result of publishing material the author submits to us, including consequential losses. Archiving – Lexxion Publisher maintains secure electronic backups of all past issues of its journals since 2002. In the event the publication of a journal is discontinued, it shall make all possible efforts to keep contents available to readers online, or by request, in any way it deems appropriate. Lexxion Publisher ceases to be responsible for backups and archives of extant journals which have been acquired by other undertakings, except if otherwise agreed upon with said undertakings. Fees and Open Access Publication – No fees are applied under the standard publication policy. Lexxion does offer authors the possibility to publish Open Access (OA). Under the OA publication policy: i) the final published article is made freely accessible to the public immediately upon publication, ii) authors retain the rights to republish their work, iii) authors, their institutions or funding bodies are obliged to pay an OA fee. The amount of the OA fee per contribution is equivalent to the campus license subscription fee for the respective journal. Contributions published under the OA policy must still successfully pass peer review in accordance with the journal’s Author Guidelines. If the contribution does not pass peer review, authors do not pay an OA fee. It is also possible for authors to opt for the OA policy at any future point after publication. The need for clarity on agreed ethical standards for everyone involved in the publishing process (authors, editors, reviewers, and the publisher) is a necessary publication prerequisite for all journals published by Lexxion Verlagsgesellschaft mbH (the publisher). This statement is meant to be a resource to rely on in case of doubt or dispute. This Publication Ethics and Malpractice Statement is based on COPE’s Best Practice Guidelines for Journal Editors, which is also the reference text if further clarifications and information are needed. The preparation for the publication of a journal is the charge of its Editorial Team, usually comprised of the Editorial Board, Managing Editors or Editors-in-Chief and Executive Editors. Other Editors may be appointed as necessary. Editorial Board members are recognised experts in their fields and include academics, legal professionals, scientists, government and EU officials, and other authorities. Journals are accountable for the content published, through their reviewing and checking processes. Therefore they also hold the responsibility for deciding which contributions should be published. This choice is made on the basis of the quality and novelty of the material, and of its integrity in order to meet the needs of readers and authors. Lexxion supports equal rights and opportunities; therefore every article submitted is taken into consideration and evaluated for its content, without discrimination on any of the grounds set forth in Article 14 of the European Convention on Human Rights. Journals published by Lexxion do not disclose information on their evaluation of an article to any of the parties involved in its preparation for publication. The same applies to unpublished material, unless with the specific consent of the authors. The publisher commits to act promptly in case any published material requires corrections of significant import, retractions, clarifications and apologies, as appropriate to each case. Corrections shall be adopted only if they refer to facts or events prior to the submission of the final manuscript and substantially affect the work. Minor or cosmetic corrections, including typos, updates, revisions etc will not be allowed after publication. The members of the Editorial Teams shall act in a professional, balanced, fair and objective manner in carrying out their duties to the journal, without discrimination on any of the grounds set forth in Article 14 of the European Convention on Human Rights. This shall apply to all situations, but especially the treatment of authors and assessment of submissions for publication. These shall be considered solely on the basis of the quality of their content and the ethical standards set herein. The Editorial Teams shall duly follow these ethical guidelines and act diligently in cases of suspected misconduct, adopting reasonable measures and procedures to deal with complaints and conflicts. Editors shall refrain from involvement in any review or situation in which a conflict of interests may arise. Reviewers shall follow this PEMS and our other specific guidelines and provide an unbiased, non-personal, and objective review of the contributions submitted to them. The reviews must be a tool for improving the quality of the papers, therefore any criticism by the reviewers must be supported by strong arguments, be as clear and specific as possible and remain respectful at all times. Reviewers must treat any submitted manuscript confidentially, and must not use the content to their advantage, unless otherwise agreed upon in writing with the publisher, who shall consult authors beforehand. When accepting the review of a contribution, reviewers shall commit to following all mutually-agreed-upon deadlines and not unduly delay or postpone the review. If unwilling or unable to finish a review, reviewers shall promptly notify the Editorial Team, and attempt to the best of their abilities to find a replacement. Reviewers must immediately inform the Editorial Team of any actual or potential conflict of interests, including those arising after the initiation of their review. The Editorial Team shall act accordingly based on this information. Authors must present an accurate account of the work performed and provide or reference sufficient material to permit the check or replication of their work. If the work has more than one author, all of them must have significantly contributed to the research; conversely, all significant contributors shall be duly identified. If requested, authors shall clarify to the Editorial Team who was responsible for which part of the work. Authors ensure the originality of their work and the proper citation of, reference or credit to the works of others present in their own, in terms of both specific quotation and general influence and guidance. In accordance with Lexxion’s Terms and Conditions, authors shall not submit a contribution to multiple journals or publishers at the same time, nor shall they submit contributions already published (partially or as a whole), even if in another language. Authors must verify and guarantee compliance with ethical standards in the treatment of participants (human or animal) and provide information about the procedures adopted in their studies. Any relevant financial support, direct involvement in a matter discussed in the work (such as judicial proceedings) or other relevant affiliations shall be clearly stated in the work. In case an author discovers a significant error or inaccuracy in their own published work it is the author’s responsibility to immediately notify the publisher or the journal’s Editorial Team, who shall act promptly as appropriate. Authors shall remain available to make such corrections at the request of the publisher or Editorial Team. Authors shall pledge to follow this PEMS and the Author Guidelines of the respective publication, making sure that their work adheres to them entirely before submission. Contributions that do not do so may be summarily rejected. Authors are obliged to take part in the review process by remaining available for any changes, modifications, improvements etc as may be required by reviewers and Editorial Teams. These shall be considered as mandatory conditions for publication; authors shall strive to adopt them to the widest possible extent. Clear and objective justification shall be given by authors if any request hasn’t been met. Editorial Teams reserve the right to return any insufficiently modified contribution to authors for further work, or to reject its publication. Authors shall undertake to follow all assigned deadlines strictly, without undue or unjustified delays. Any delay must be communicated to the Editorial Team prior to the original deadline; failure to do so may result in the summary rejection of a contribution. Upon the first submission of a manuscript, authors must clearly inform the publisher of any prior commitments or obligations they are under which may affect the licensing of their work, including (but not limited to) obligations to make research freely available. Failure to do so may incur the sole liability of the author. Under no circumstance shall Lexxion publish any work where research misconduct (including but not limited to plagiarism) has knowingly occurred, nor encourage or knowingly allow such misconduct to take place. It shall take reasonable steps to identify and prevent the publication of such works. In the event such misconduct or allegations thereof are brought to the attention of the publisher or Editorial Team, by any person whatsoever, they shall deal with such information as appropriate to each case. The identity of the source shall be protected unless this is explicitly waivered by the same. The case shall be treated discretely and confidentially as much as possible or required by the situation, and no information or allegation shall be made public until the end of the inquiry, and only if so required. All persons involved or alleged to be involved shall be given ample opportunity to clarify the matter. The Editorial Teams and the publisher shall strive to seek the most accurate information possible to guide any decision. Without prejudice to other actions, the publisher shall promptly correct, retract, remove or otherwise remedy any work it published in which misconduct has occurred. The publisher reserves the right to seek judicial remedies, inform or alert professional associations, ethics committees, funding bodies, employers etc, or to take any other action it deems appropriate according to the severity of the misconduct. All articles submitted to a Lexxion journal are peer-reviewed. Review processes vary per journal and are described in their respective Author Guidelines. The choice and assignment of reviewers is at the sole discretion of the Editorial Team; details thereof shall not be discussed or made public, and authors may not make any requests in this regard.